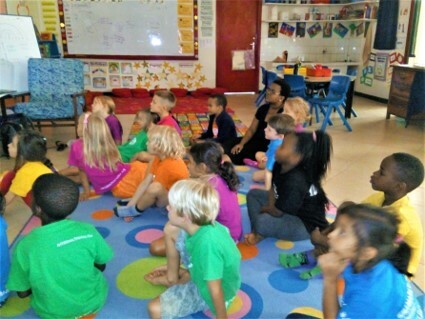 This week our Primary students were taking the MAP test, which replaces the ISA tests. We will be sending results of these home soon. To help parents understand the results we will be having sessions in the morning and evening this next month. As David mentions below, the M1 to M3 are next for these tests. PYP are embarking on a project that will have them working on a design to transform some open space into a garden area for all of us to enjoy. Many thanks to Anthony Hemmens, Andrea Massawe and Kate Schermbrucker for facilitating this project. We look forward to seeing the results of the garden for sale in future Farmers’ Markets. The secondary students have a number of events upcoming in a variety of areas. From the Science Fair to the Art Exhibition, there is something for most tastes. The students would really appreciate an audience, so please come by to see these events in the newsletter. This past week was the deadline for the submission of scholarship applications for next year’s D1 places. This year we had over 85 applications from all over the country including some from Moshi and Arusha. Looking at the applications, the eight people involved in the selection process from the two campuses, will have a hard time with the final selections. The first part of this selection process will result in a selection of the students visiting the Moshi Campus on the 8th and 9th of March for activities and interviews. Please don’t forget about the Kili Marathon next Sunday, March 4th. In addition to the full marathon, there is also the half-marathon and the 5K run. If you would like more information about registration, please contact Grace Mkumbwa at school and she can help you. For those of us not running, we look forward to cheering on those that are. There is a scheduled Parents Meeting on Tuesday the 27th at 7:30am in the Social Center. We look forward to seeing you there. We will also be having MAP informational meetings in the next few weeks. More information on these will be sent home soon. 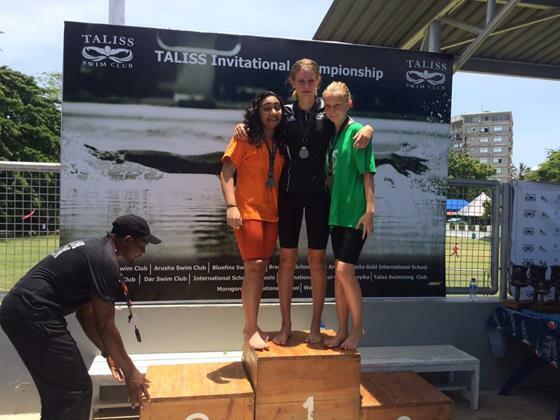 This weekend some of the swimmers traveled to Dar to participate in the TALISS Swim Meet. From all accounts the students have had a great time. 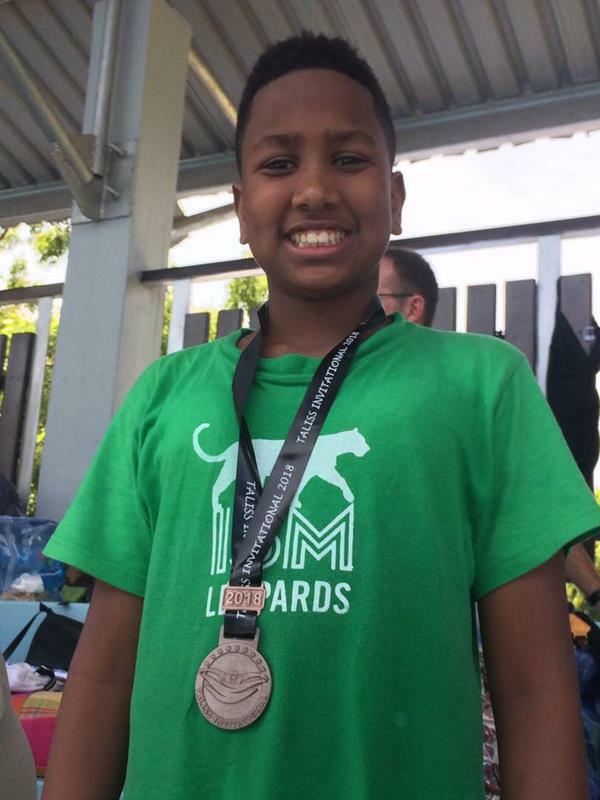 Congratulations to all the swimmers and a special congratulation to all that medaled. Look here next week for a full accounting of the students’ success. Thank you to Sabini and Debbie for taking this group and to Mary and Christine for the organization. the D2 Art Exhibition on Sunday March 10 to Tues March 13th. Plans are shaping up for a multi-faceted career day with eighteen special guest speakers for our MYP and DP students on Thurs March 22nd. UK Portsmouth University Mt Kilimanjaro glacier retreat specialist Prof. Nicholas Pepin (https://www.treehugger.com/natural-sciences/kilimanjaros-rapid-glacier-melting-quickened-by-deforestation.html) will address most DP students on Thurs March 1st on his research with 22 data loggers measuring temperature and relative humidity every hour at elevations between 900 meters and 5800 meters on Kilimanjaro. MYP students in M1-M3 will take MAP Growth™ tests from NWEA starting on March 1. These tests replace the annual ISA tests which we have given in the past. We give students MAP Growth tests to determine their instructional level and to measure academic growth throughout the school year (and from year to year) in Reading, English Language and Mathematics. The M3 will also take a Science test. M3’s would like to welcome you to visit their Science Fair on Friday March 2 as from 9am to 12 noon in Karibu Hall. They have chosen an area of personal interest, recognized a problem and have been working this quarter to design, conduct, and evaluate their own science experiments. All are welcome, and they look forward to sharing their discoveries with you. We have arranged for a Careers’ Day on March 22 featuring different professionals within the ISM community. Students will have an opportunity to ask questions regarding the various professions represented on that day. All M5 students that have indicated their institutions of choice for this exercise have so far been given letters of introduction. The work experience information must include the organisation, supervisor name and contact information. Congratulations to our Teaching Assistants and Laboratory Technicians who completed online training in such areas as Health and Safety Management in Schools, Working with Students with Special Educational Needs, Educational Psychology and Health and Safety in the Laboratory. We were pleased and proud to award these 5 members of staff with their well-earned certificates. This was a short week, as Monday was the last day of the ISM holiday. Classes resumed on Tuesday. Because of the long weekend, the student’s council postponed the Valentine’s events from last weekend to this Friday the 23rd. The M1 to M3 students had a pool party, while M4 to D2 students enjoyed a dance in Rafiki hall. On Sunday morning, a number of boarders will be going to Arusha for a movie. Those who remain on campus have other interesting activities planned. A reminder to parents of MYP boarders, that they are not allowed to sign out of campus in the evening. We feel that they are still young, and cannot go out of campus on their own. However, they will be allowed to sign out if their parents, or guardian signs them out, and in this case takes the responsibility of supervision. School will break for Easter on Friday March 23rd, and boarders return on Tuesday the 3rd of April. This Saturday our U15 Football and U19 Basketball teams are in action at ISMAC for the 3rd round of the NTAA. 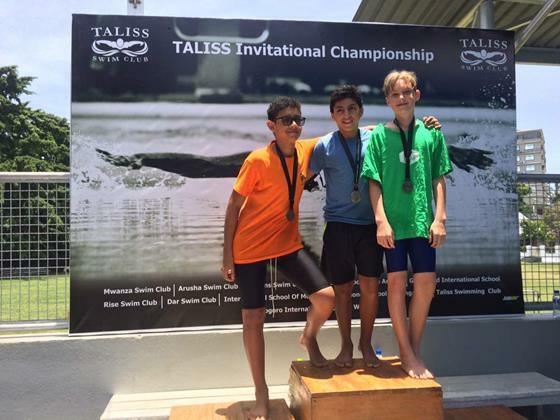 Also happening this weekend is the TALISS Swim Meet in Dar Es Salam where several of our ISM swimmers are competing. Good Luck Leopards. Check back here next week for a short report about all the action. The first set of games will be on Saturday March 3rd. We are starting to get excited about the biennial ISM Primary Moshi Sports Weekend which will be taking place in 3 weeks time. 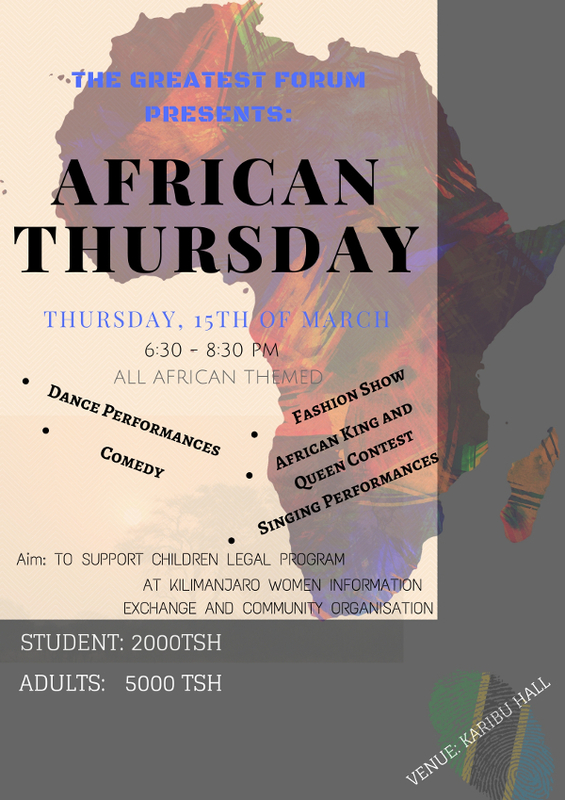 We alternate hosting this event with IST and last year our Primary footballers and swimmers flew down to Dar. This year we are expecting 6 or 7 schools to take part, so please mark it in your diaries (Fri 16th March – Sunday 18th March, with the sports on the Saturday). 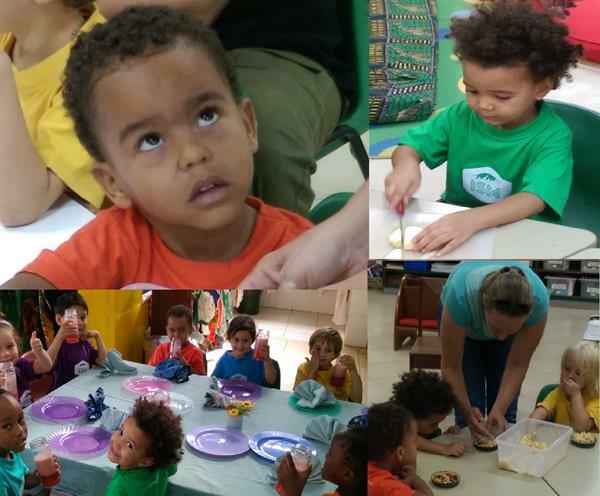 If any parents wish to help out, please contact Kate Schermbrucker (kateschermbrucker@ed.ismoshi.com). The P4, P5 and P6 classes have been experiencing MAP (Measure of Academic Progress) Growth Testing on the computers in the IT Centre this week. 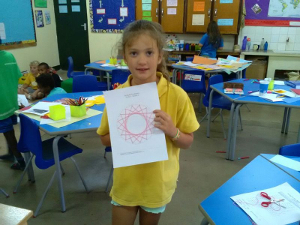 They were assessed on their reading, English language and mathematics skills. The nice thing about these tests is that they have no time limit, so some students have not yet finished. They will be given an opportunity to finish the tests on Monday and Tuesday. 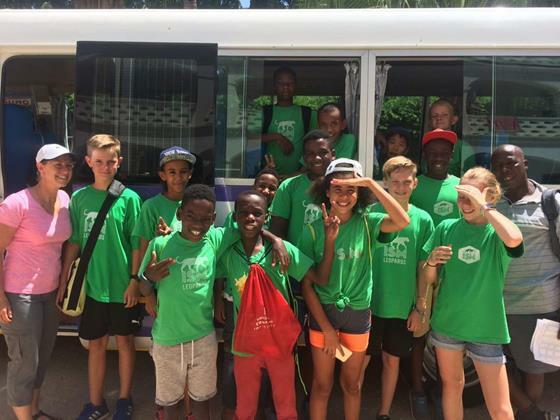 On Thursday and Friday, the P2/3 class had a wonderful camp to Kahawa Shambani, past Rau. They experienced a village market, saw a traditionally made Chagga hut and visited the long Chagga tunnels dug into the side of Kilimanjaro. These were used to escape from the Masai in former times. The children showed a good level of independence and asked the guides some well thought out questions. Next Thursday all the primary children will help to design our new garden on campus. The garden will be for the whole school and will include lots of fresh vegetables. The children have continued to explore essential agreements across the school. They created skits in order to more deeply understand them. They have slowly come to a conclusion that all essential agreements work together and rely on each other to build a thriving learning community. As they began to answer the question: ‘Are schools important?’, they asked even more vital questions, such as, ‘Was there a time when we did not have schools?’ This coming week, they want to seek answers to this question as they continue their exploration of their own learning community. In maths, the children have begun to look at sharing and they will continue this in the coming week. They have also looked at the relationship of numbers in number bonds to 10 and 20. They have enjoyed creating number bonds rainbows. Next week, they will also be looking at how we organise ourselves using days, months and years. The P2/3 class and teachers have had a wonderful time on their camping trip. 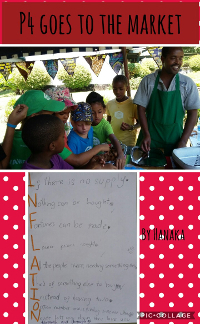 They learned a lot about the local environment and what the land produces. 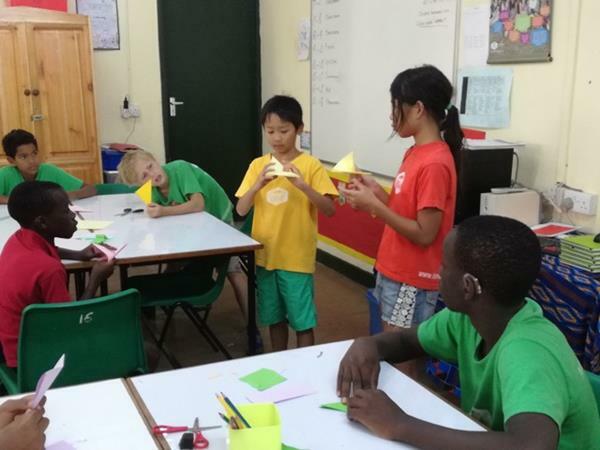 The children worked together as part of a team, and they supported and encouraged each other positively. Many of the children displayed leadership roles and shared their expertise with the class. What a great experience! The class enjoyed their visit to the school drivers. They learned about the engines and how they are looked after and maintained. Next week Ms. Makayla and myself will be team-teaching. We will be working on this units’ summative assessment. In Math we will be working on fractions and looking at different ways of making and writing fractions. We will begin writing our books on transportation, and these are based on books written by Gail Gibbons. This week our classroom economy was in full swing. The students were asking great questions regarding the value of work and are beginning to understand the concept of profit/loss and productivity. One student has applied his understanding and has started spending time at the end of the day picking up forgotten items. 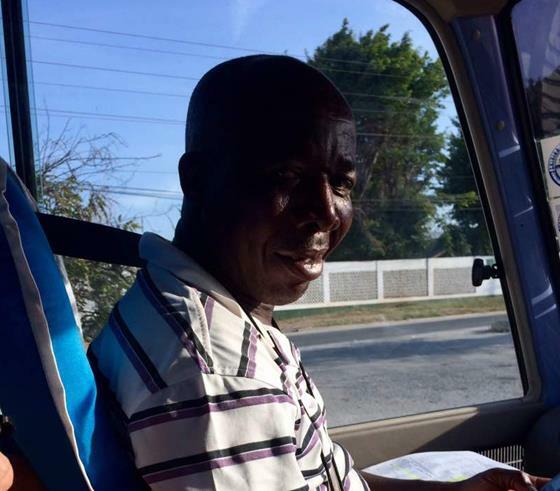 He has created a lost property business where he ‘sells’ lost items back to the children at a reduced rate, earning himself Diamond Dollars (the currency the children created). What a way to take action and help ignite a lot of great discussions about ethics in the marketplace! One student asked about religion and the relationship to the economy which led to a meaningful discussion on giving and caring. We have also started to consider the things which money can’t buy. The P5 children have been busy practicing their sewing skills (see photo.) We linked this with a maths multiplication activity and the beautiful results are on display in the classroom. Our sources of energy posters are completed and so are our verbs books so we are all ready to share our work with another class. Next week we will start carrying out practical investigations into renewable forms of energy and will prepare for our Primary Gathering presentation which will take place on Friday. We will continue our work on fractions and begin work on decimals. Next Thursday the P5 children will be taking part in a PYP wide activity, visiting some open space at ISM and coming up with ideas as to how the land could be used for a garden. Monday – library – remember your book as we didn’t have the chance to change them last week. The P6 students were very calm and principled this week as they did the MAP tests. There is also a great buzz in our class about this being the last week before the PYP Exhibition begins. The students are enthusiastically completing their Summative Assessment tasks, which they will present on Monday and Tuesday. In the coming week, we will be presenting our Summative tasks and beginning our Exhibition journey with Essential Agreements. The students will also develop, Central Ideas, Lines of Inquiry and Key Questions for their Exhibition unit. In Math, we will continue with data handling with a focus on pie graphs. Students will be assessed on their understanding of fractions and percentage. In Language we be creating super sentences using connectives.